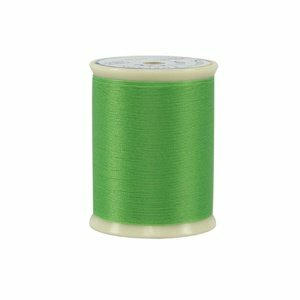 #30/3-ply Polyester thread. Designed for Quilting and Decorative Stitching. Designed with award-winning quilter Caryl Bryer Fallert, So Fine! #30 is a lint-free polyester with amazingly bright, bold colors. So Fine! #30 is on the heavier (thicker) quilting thread spectrum and is commonly used for outlining or topstitching when a distinct look is wanted.